The existence of heat shock proteins (HSPs) was suggested first in the early 1960s by the Italian geneticist Ferruccio Ritossa on the fruitfly Drosophila melanogaster where dramatic changes in the puffering pattern of the polytene chromosomes in Drosophila’s salivary glands could be observed upon exposure to heat shock 10,11,12. This observation was followed by the discovery made by Alfred Tissières of an upregulated expression of a set of mRNAs and polypeptides in Drosophila after exposure to heat shock in the early 1970s 13. The universality of this response from bacteria to humans was recognized shortly thereafter by the same group 14. 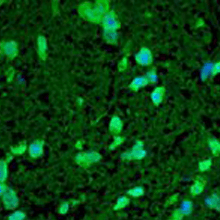 Afterwards, expression of HSPs was found as being induced after exposure to environmental stressors and could be demonstrated subsequently in any cellular organism 15. 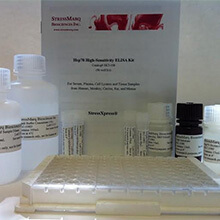 Apart from thermal upregulation, HSP expression can also be induced by ischemia, heavy metals, nutrient deprivation and irradiation as well as organics and oxidants, infections and inflammation 15,16,17. This HSP induction is referred to as the heat shock response (HSR) that is ubiquitous across the bacterial, archaeal and eukaryotic kingdoms 18. 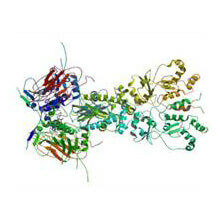 Heat shock protein 60 (Hsp60), also known as 60 kDa chaperonin (Cpn60), is a member of the stress family of GroEL molecular chaperones identified in bacteria 19. GroEL was originally identified in E. coli as a large oligomeric chaperone in the early 1970s necessary for the assembly of bacteriophage λ 20, 21. GroEL has been found to bind nonconvalently to the monomeric form of protein B in bacteriophage λ thus facilitating the assembly of the bacteriophage head 20, 21. Since the publication of the first GroEL sequence from Mycobacterium leprae 22, a large number of groEL/HSP60 genes have been cloned and sequenced from various species. Later on Goloubinoff and colleagues demonstrated that for complete functionality, GroEL must interact with a further oligomeric HSP, GroES 23 whose symmetry could be identified as being identical to that of GroEL 24. The crystal structure of the asymmetric GroEL-GroES-(ADP)7 chaperonin complex has been solved almost 20 years ago by the group of Paul B. Sigler 25. Electron microscopy and X-ray structure analyses revealed that GroEL consists of 14 identical subunits forming two heptameric rings arranged back-to-back 26,27,28. Sequencing of the groEL gene and the complementary cDNA encoding the chloroplast protein has revealed that these proteins are evolutionary homologs termed ‘chaperonins’ comprising a class of molecular chaperones found not only in chloroplasts and prokaryotes but also in mitochondria of eukaryotes 1, 29. Studies on denaturation and stability of GroEL started in 1990 with the observation that GroEL could be reassembled from the experimentally denatured monomeric state in the presence of Mg2+/ATP 30. Studies within the past 20 years clearly demonstrated that the stability of the oligomeric GroEL structure is affected by several factors including denaturants 31,32,33, Mg2+/ATP or Mg2+/ADP 34,35, NaCl and KCl 33, low temperature 36, hydrostatic pressure 37 as well as trivalent spermidine cation 33. Moreover, bound substrate polypeptides have been found to stabilize the tetradecameric structure of GroEL and to induce its reassembly from monomers 38. The crystal structure of the thermosome, the archaeal chaperonin and CCT homolog from Thermoplasma acidophilum, has been solved in 1998 39. 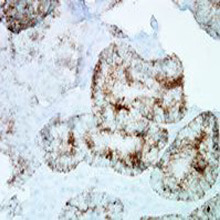 Eukaryotic Hsp60 has originally been reported as a mitochondrial P1 protein. Jindal and co-workers isolated a complete cDNA encoding Hsp60 from the acute myelocytic leukemia HL-60 cell line. The deduced amino acid sequence showed strong homology to HSP60s from bacteria and plant chloroplasts 40. However, several studies revealed significant structural and functional discrepancies between bacterial and mitochondrial HSP60s 41,42,43. Since the discovery of HSP60s outside of mitochondria 44,45, it became obvious that bacterial and mammalian mitochondrial HSP60s act differentially from each other. No information is available on the structural basis underlying this discrepancy, nor any high-resolution data are accessible for mitochondrial Hsp60 or its co-chaperonin Hsp10 (Cpn10) until recently. Extracellular location of Hsp10 has originally been described in 1977 as an immunoregulatory factor in the serum of women in the first trimester of pregnancy 46,47, but its identification as Hsp10 was done in 1994 48. Since most of our understanding of chaperonin structure and function relates to the prokaryotic homologs GroEL and GroES from E. coli, Capello and co-workers recently built a computational model of the three-dimensional structure of human Hsp60 and emphasized features of the molecule that may help to comprehend structure/function relationships 49. Meanwhile, the crystallization, diffraction experiments as well as structure determination of the mammalian mitochondrial Hsp60 and its co-chaperonin Hsp10 have been reported 50. The eukaryotic cytosol harbors the most complex of the chaperonins, the eukaryotic TCP-1 ring complex (TRiC) consisting of eight different subunits called chaperone containing TCP-1 (CCT-1 to -8). 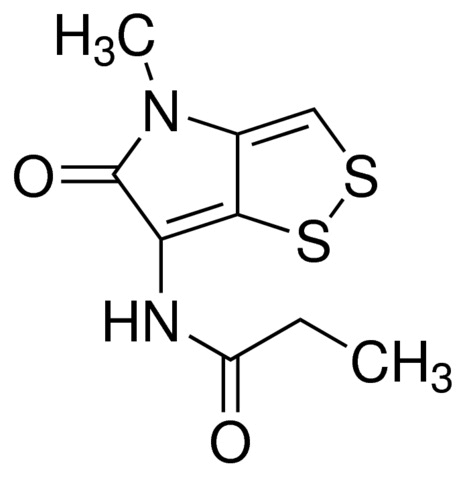 TRiC has originally been discovered in rabbit reticulocytes where it functions as a cytosolic chaperone critically involved in tubulin biogenesis 51. At the same time, Lewis and collaborators identified murine and human TCP-1 as an hetero-oligomeric particle of approximately 900 kDa in the cytosol associated with four to six unidentified proteins and two Hsp70 homologs 52. The binding partners of TRiC (e.g. actin, tubulin, de novo-synthesized proteins) have been identified around the turn of the millennium by using biochemical 53 and in vivo translation approaches 54 as well as cryo-electron microscopy 55. The crystal structure of the open conformation of TRiC in complex with tubulin has since been solved in 2011, providing information about the mechanism by which it facilitates tubulin folding 56. Crystallographic studies of group II chaperonins have also been performed in Archaea such as Methanococcus maripaludis 57, Thermococcus spec. 58, and Thermoplasma acidophilum 39. By Using two-dimensional gel electrophoresis and matrix-assisted laser desorption ionization mass spectrometry, Fountoulakis and co-workers demonstrated previously that HeLa cells express all eight TRiC subunits at high levels 59. However, most data on structure and function of group II chaperonins have been raised for less complex archaeal chaperonins.